The design of this watch remains a favorite for both Sinn collectors and those new to the brand. Dial is matte black with Arabic numerals and luminous markers and hands. Bracelet is extremely well made and solid, and is 20 mm in width with security folding clasp. 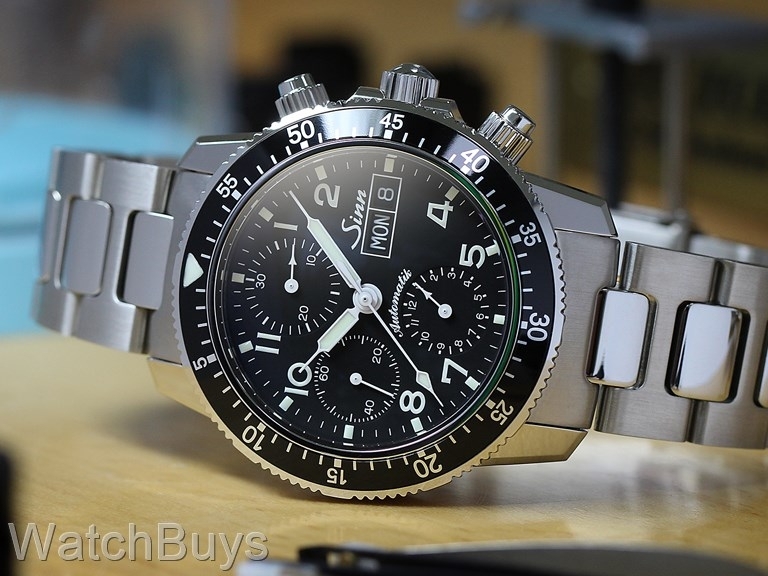 "Wonderful watch from a trusted vendor"
Verified Owner Comments: This is my second Sinn purchase. I am a big fan, the workmanship and finish are excellent for the price. Very comfortable to wear and easy to read the time and date. Just a joy to have on my wrist. 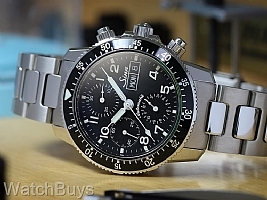 Verified Owner Comments: This is my second Sinn after a 556A. And now my poor 556A never gets any wrist time. If you get it I really think you should go for the steel bracelet. It's beautiful a similar level of craftsmanship goes into it as does the case itself. You can always buy the leather strap later. Verified Owner Comments: I've had mine for over a year now and I'm still in love with it. It has great looks, good feel/heft. And it runs superbly! "Great watch, very well constructed"
Verified Owner Comments: Just received this watch. Well made with a beautiful finish. Pictures do not do it justice. Verified Owner Comments: I have the Ar version of this watch, and I cannot recommend it enough. It's a truly beautiful timepiece. Certainly one of the best values in terms of watch/ dollar.